Custom Made Knives by Busse Combat Knife Co.
Busse Combat Knife Co. produced this Argonne Assault LB, INFI blade steel, BL = 10" OAL = 16", Black canvas scales. 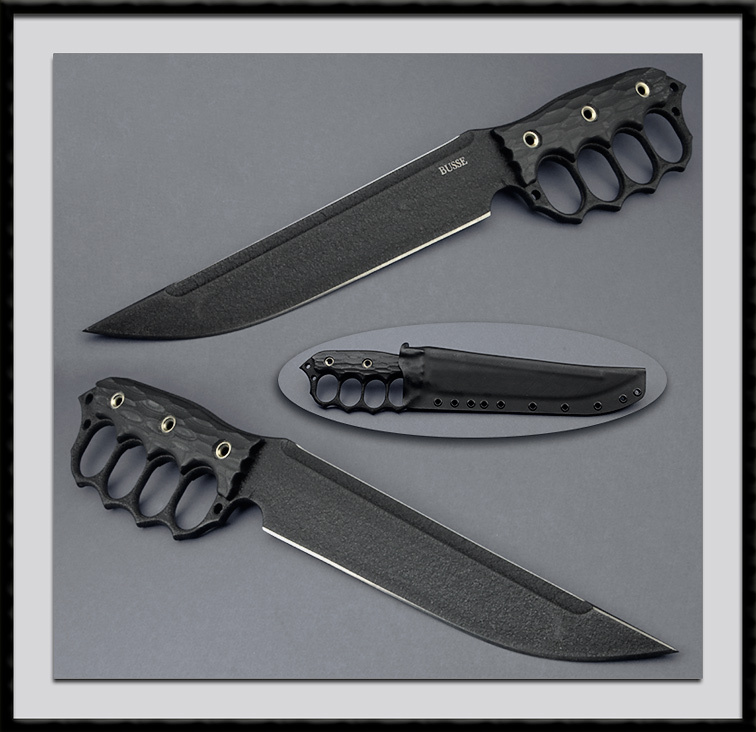 "The Argonne Assault LB is the definitive Knuckle Knife by which all others will be judged" from their website. Condition Mint. Comes with the custom Kydex sheath pictured.